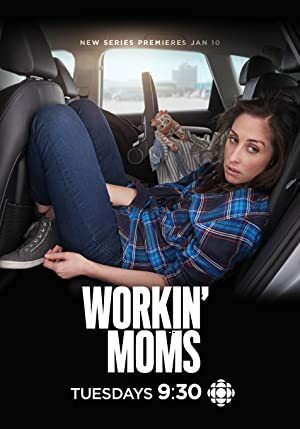 Workin’ Moms – Season 2 (2018) – What's New on Netflix Canada Today! Workin’ Moms follows the lives of four women as they juggle love, careers, and parenthood. They support, challenge, and try not to judge each other as life throws them curveballs. Whether it is an identity crisis, a huge job opportunity, postpartum depression, or an unplanned pregnancy – they face both the good and bad with grace and humour. Kate is the flawed and fearless heart and soul of the series, who has stark home/life decisions to make. She relies on her closest friend Anne, a no-nonsense psychiatrist and mother of two, who is facing a massive family challenge. Charming and unpredictable Frankie livens any dark moment as she struggles with her own instability and relationship malaise. And sweet, former sorority girl Jenny seeks an uncharacteristically reckless awakening. Together the friends fearlessly confront the polarizing and unexpected realities of being working moms.